Anthony Bourdain has died aged 61. CNN reports that the cause of death was suicide. Just a week before his death, Bourdain bought a work of art by US artist John Lurie. It was titled: "The sky is falling, I am learning to live with it." Lurie expressed his heartbreak on Twitter. Celebrity chef Anthony Bourdain has died aged 61. 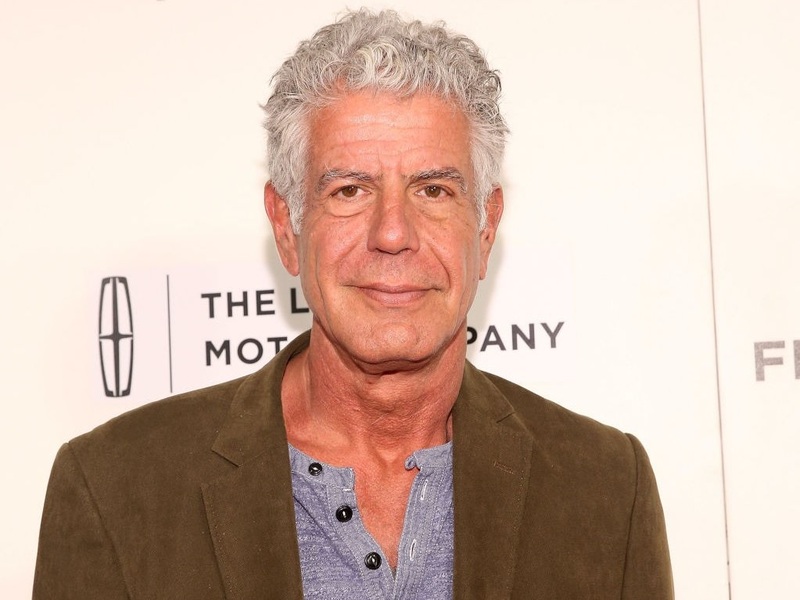 CNN reported that Bourdain was found in his hotel room on Friday morning and that suicide was the cause of death. Just last week, Bourdain purchased a piece of artwork by John Lurie entitled, "The sky is falling, I am learning to live with it." Lurie said he was just becoming friends with Bourdain before his death. The US artist expressed his disbelief and sadness in a string of devastated tweets on Friday morning. Lurie added that despite his fame, Bourdain was down-to-earth and instantly likeable. Bourdain was in France working on his CNN show "Parts Unknown" when he was discovered dead by his friend, French chef Eric Ripert. "His love of great adventure, new friends, fine food and drink and the remarkable stories of the world made him a unique storyteller. His talents never ceased to amaze us and we will miss him very much. Our thoughts and prayers are with his daughter and family at this incredibly difficult time. If you or someone you know is struggling with depression or has had thoughts of harming themselves or taking their own life, get help. Lifeline (0861 322 322) provides 24/7, free, confidential support for people in distress, as well as best practices for professionals and resources to aid in prevention and crisis situations.